I told you I love slaw. Here’s some more. This is my go-to combination that not only tastes amazing, it looks absolutely beautiful too. Look at it! LOOK! Attach the slicing or grating blade to a food processor. Peel and chop the cabbage and carrots into chunks. 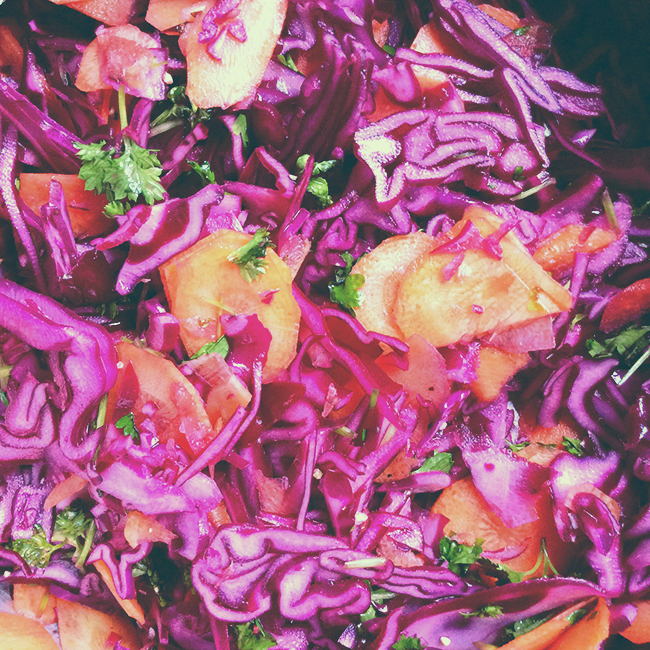 Slice or grate the cabbage and carrots in the food processor, then transfer to a mixing bowl. Chop the parsley and add it to the mixing bowl then add a couple of splashes of vinegar and season to taste with salt and pepper. Mix well and then transfer to an airtight container. Store in the fridge.